As we know that the Microsoft discontinued the Windows Live Mail Email client. It means Microsoft has stopped providing support for Windows live mail. At the same time, Microsoft provides advance and secure mail client i.e. Outlook. The Outlook is released in different versions like Outlook 2016 (latest), 2013, 2010, 2007, 2003 and below versions. Due to which user want to move email messages from Windows live mail to Microsoft Outlook. But the email migration cannot be done directly due to the different file format. The Microsoft Outlook stores entire data into the .pst file format and the Windows live mail stores in .eml file format. So before importing email messages from windows live mail to Outlook. You need to export the source file into Microsoft Outlook supported PST format. 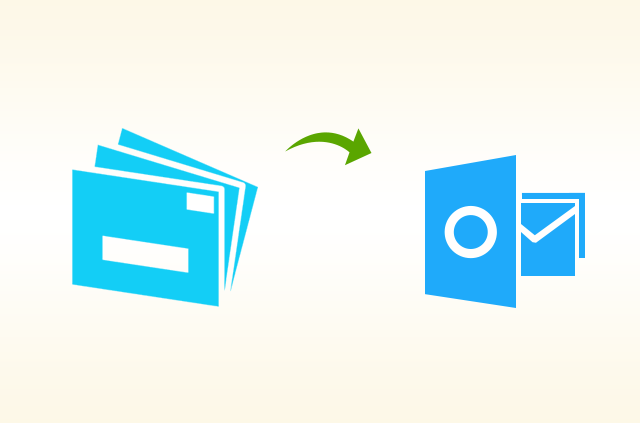 In this post, you will find all possible ways to export Windows live mail messages to Outlook 2016, 2013, 2010, 2007 and below versions. If you are in similar situation and looking for the reliable solution to move email messages from windows live mail into Microsoft Outlook. Then you are at the right place, simply read the complete and perform the steps explained in this post. There is two method for Windows live mail export messages to Outlook process. One is the manual method and the other is paid software. Both of the methods have their own pros and cons. In this post, I will explain both the methods. Perform the steps listed below and export email messages from Windows live mail to Microsoft Outlook. Now Windows Live Mail Export window will appear simply select Microsoft Exchange and click on Next button from the bottom. An Export Pop up windows will appear with “This will export messages from Windows Live Mail to Outlook or Exchange Server”. Simply click on OK button. Here you will get two option to Export Windows live mail messages. Either export Select Folders or Export All Folders. Select one according to your requirement and click on OK button. Now you can see the Windows live mail messages export process. Wait till it completes to 100%. After completion of the export process, messages will appear “Your messages were successfully exported using Microsoft Exchange format.” At the end hit on Finish button. Note: – Hope you successfully exported Windows Live Mail Emails to Microsoft Outlook 2016, 2013, 2010, 2007 or below versions. But remember that the manual method may result in distorted SMTP headers, broken images from messages body etc. So, before using the manual method to export emails messages from Live Mail, take backup. As we discussed above that the manual methods have some limitation and there is a change to data loss. So, Try out this expert suggested and widely used SysTools Windows Live Mail to Outlook PST Converter. It will allow you to import bulk to files together without any restriction. Along with this, the tool provides you the preview of complete data before exporting to Microsoft Outlook. It is compatible with all Windows OS versions. It ensures you for complete email messages conversion without any data loss. It maintains the data integrity and allows you to move email messages from windows live mail into Microsoft Outlook 2019, 2016, 2013, 2010, 2007, 2003 and below versions. Note: – The software generates the UNICODE PST, so you can easily import it into all versions of Microsoft Outlook. Like Outlook 2019, 2016, 2013, 2010, 2007, 2003 and below. Hope now you found the required solution for your query how to export Windows Live Mail Messages to Outlook 2016, 2013, 2010, 2007. Select any method which suits you best and move email messages from windows live mail into Microsoft Outlook.